It was the year 2000 when Honda launched the MDX for the first time under the banner of Acura. The vehicle is famously known in the category of three – row luxury SUVs. Every model name in Acura is an abbreviation. As like in Acura NSX, the sports car, the NSX means “New Sports Experience.” Similarly, in the case of MDX, the letters mean “Multi-Dimensional Luxury”. Some statistics reveal that MDX is one of the highly sold three – row SUV’s in the North America. 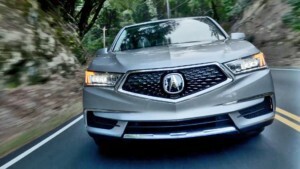 By 2015, the franchise of Acura surpassed almost 750,000 units of sale. 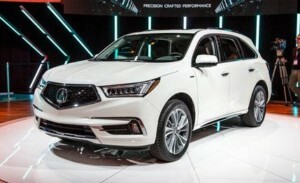 The MDX was announced as the successor of Acura SLX. Unfortunately, Acura has a bad history with SLX. In 1996 – 97 it was released all across the U.S that Acura SLX has weak safety measures, as it rolled over during a test. This affected the overall sale of SLX. Further. the model was totally based on Isuzu Trooper. There were just a few nooks that were not in SLX from the Trooper. 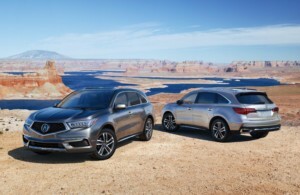 In Japan, the MDX succeeds Honda Horizon. The car went on sale in Japan and Australia by 2003. Till 2009, MDX had been the most expensive SUV from Acura. By that year Acura launched the ZDX which continued till 2013. Soon after ZDX, Acura balanced the market of MDX by launching a lower trim with the RDX. Acura MDX is in its third generation now. The car is assembled in the Alabama United States, with its Chief designer Jim Keller. Previously it was assembled in Ontario, Canada. In 2013, during North American International Auto Show, in New York, the third generation Acura MDX was revealed for the first time. In the following year, the production began. Acura MDX is starting from $43,950, with standard parts and equipment. One of the best performance attributes of Acura MDX is its handling. It has got a smooth and excellent handling which makes it more fun to drive. The standard configuration offered for the driveline is in front – wheel – drive but all – wheels – drive configuration is available. The AWD model version is recognized as Super Handling all – wheel – drive. Along with agile handling, MDX has got a superb braking system as well, which is far better than those required in SUVs. Among the three – row SUVs, Acura MDX has got some finest performance schedules. The 3.5 L SOHC V6 engine has 290 horses at 267 lb – ft of torque. The key features give a boost to the performance. 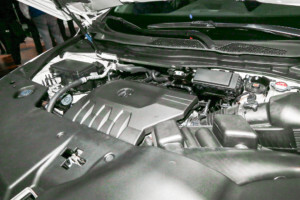 In the previous generation, the MDX was having the 3.7 L 24 valve SOHC V6 engine. Although the tuning of the previous version was even more than the present day generation. It had 300 horses at 270 lb – ft, but it took 6.5 seconds to accelerate from 0 – 62 mph. The present day model reached the mark in 5.9 seconds. When it comes to the mileage EPA, then MDX third generation offers the best of all. It is giving 22 mpg while the least versions were offering 16 mpg and lower. MDX was coming with a 6 – speed automatic transmission which has now been revised. Now it comes with a 9 – speed automatic ZF 9HP transmission, which adds up more fuel into the EPA. Relatively it’s a fuel saving technology. Going straight may slap us for being obnoxious, but despite all norms, the fact is the looks of MDX are certainly its catch. Although MDX received a facelift recently, but it has not given impressive looks to the car. Particularly the grille and the rear needs some beautification to make MDX attractive. The Acura MDX shares its interior platform with the Honda Pilot. The only difference that comes between the two cars is in third-row seats. In thePilot, there is a seating of 3 people in the third row, while in MDX there is the seating of 2. Altogether, MDX is capable of seating 8 people in the car. The cabin of MDX is quite silent. Acura has used the PVB layer in the windshield and the side panes to reduce the outside noise. Further, it has the application of triple – layer door and thick rear shield to reduce the noise. Overall, the interior of Acura MDX is rich in luxury and comfort. It is well equipped for a smooth and cozy rides. Generally, the lever or side dash equipment is provided for the transmission shifting. But MDX is among those cars that offer buttons to shift transmission. Somehow, you need to get in-touch with these buttons, if you have to drive MDX over a jam-packed road or city streets. Efficiency is the part of Acura cars. The MDX features the Idle Stop application, which turns off the engine when the car stops for more than a certain time. Like when you stop over a red light traffic signal, the engine will go snooze. It is particularly and EPA building feature. 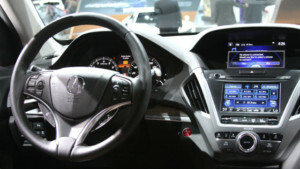 In the infotainment system, Acura MDX gets a 7 – inch and 8 – inch touchscreen. When it comes to the embedded software then all the Hondas and Acuras have that in common. SUVs require much attention by the automakers when it is concerned about safety. Acura has shown a good concern about the safety measures of MDX. Besides the conventional safety packages, MDX is equipped with Rear – Cross Traffic Monitor, which keeps the driver aware of all that is passing from behind. Moreover, it has Lane Departure Mitigation and Emergency Electronic Braking. 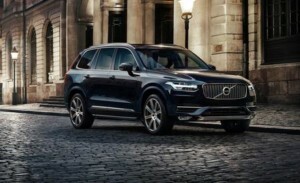 When we researched the competitors of Acura MDX, we met the Volvo XC90, offered for $46,745. Though MDX has all the fruits for a comfortable drive, but XC90 succeeds them all. Although the performance schedules of Volvo are lower than Acura as it offers a 2.0 L engine. But it reaches the mark of 62 mph within 5.3 seconds. The smooth handling and spectacular performance schedules make MDX relatively a good car to drive. It is a fun to drive car.